We all need increased mobility. Freeing our end users to move throughout our facilities and still get reliable coverage has become imperative in today's workplace. You rely on the quality of Cisco wireless solutions, but how do you get the highest quality Cisco wireless hardware without blowing up your budget? You get CXtec's equal2new® brand - the best refurbished Cisco wireless in the market. Industry-Leading Lifetime Warranty - Lifetime warranty on all used Cisco wireless access points and hardware to give you unrivaled peace of mind. We Ensure All Cisco Wireless Equipment Functions Perfectly - Each refurbished Cisco access point is fully tested in a live network at our ESD-protected, ISO 9001:2008-certified facility. Expertise On Multi-Generational Offerings - Dedicated Cisco experts and resources - all your pre-purchase technical questions are answered by our highly knowledgeable tech support professionals. Huge Cisco Wireless Inventory - From legacy to leading edge - we have the inventory for quick turn-around times on used Cisco wireless orders. You can get the highest quality, backed by a lifetime warranty and advance replacement for as long as you own the products. Step up to the best pre-owned Cisco wireless hardware in the world - equal2new. CXtec’s equal2new® refurbished Cisco access points and wireless equipment set the standard for quality used Cisco equipment. What is equal2new? It’s CXtec’s own brand of certified used Cisco wireless hardware. But more than that, it’s our promise that every unit of refurbished Cisco wireless hardware you receive from us will be equal to – or better than – new. So buy used Cisco wireless from us with confidence. Our equal2new refurbished Cisco wireless equipment is backed by an industry-leading lifetime warranty as a standard business practice. And we put it through a stringent certification process that delivers a 99.51% reliability rating. That’s how confident we are in the quality you receive from equal2new used Cisco wireless equipment. 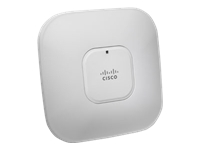 We have all the refurbished Cisco wireless access points, antennas, bridges, and more that you're looking for. With your Cisco wireless equipment up and running, it’s critical to protect your hardware and your entire IT network. Your Cisco wireless, and other legacy or new equipment, deserves the best support in the industry and with over 40 years of experience - CXtec has just that. As the cost of Smart Net Total Care to protect your Cisco wireless hardware continues to climb, their support services will continue to drop. RapidCare®, our third-party maintenance (TPM) program, can help you create a Cisco wireless maintenance plan built around your needs. With RapidCare you get the service levels you need at savings of up to 50% - 60% over Smart Net. Having a partner in RapidCare means maximum support for all your Cisco wireless maintenance needs when you need it. How does CXtec back our equal2new refurbished Cisco phones with a true lifetime warranty? By putting it through the most stringent certification process around.